We provide great cash quotes, and premium services, guaranteed! 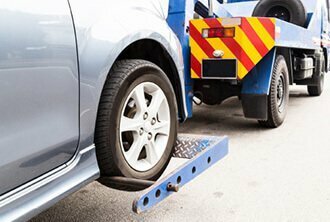 Car Removal Adelaide: Interested in an “Old Car Removal Adelaide”? Perhaps your car is damaged, or you don’t have the time or energy to put it up for sale. We provide courtesy car removals in Adelaide that are over and above our cash quote. Sell My Car: You may look high and low thinking you’ll never find a buyer for your car. There’s market demand, but no buyer that wants to pay your price. Perhaps, there is no market demand and you need a quick sale for cash. Either way, you have your car buyer at Car Wreckers Adelaide. We pay Top Cash for Cars of every make and condition. Cash for Cars Adelaide: Get up to $9,999 cash for your car of any make and condition. Sell My Truck: Second-hand trucks are tough enough to get rid of, but when the truck is wrecked, damaged, or old, the situation of how to sell your truck gets tougher; that is, unless you contact Car Wreckers Adelaide. We offer an easy way to sell trucks; just give us a call and we’ll make you an offer. 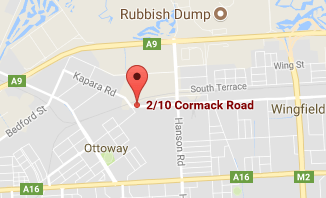 Scrap My Car: We wreckers do Scrap Car Removal as well. Get top cash for your scrap car by calling Car Wreckers Adelaide. SA Wreckers: Looking for SA auto wreckers that won’t tack on a bunch of wrecking and removal charges, leaving you with darn near nil for your car or truck? Contact Car Wreckers Adelaide. We make cash quotes up to $9,999 with wrecking and removal services provided for free. Buying Unwanted Cars: It’s tough to sell an unwanted car if there is no buyer, which is why some car owners allow their cars to sit and deteriorate. With Car Wreckers Adelaide, we Buy Unwanted Cars “As Is.” Eliminate the expense and hassles of selling your unwanted car with Car Wreckers Adelaide. Used Car Buyers: Get top dollar for used cars of any make with Car Wreckers Adelaide. We pay up to $9,999 cash. Cash for Cars Adelaide Wingfield, SA: Get cash for your car and a quick and courteous removal with free wrecking. Cash for Cars Adelaide Lonsdale, SA: Get ‘Cash for Cars Lonsdale SA’. Car Wreckers Adelaide pays top dollars in cash. Cash for Trucks Adelaide: No lowballing, just great cash offers on trucks, guaranteed. Call us for a quote up to $9,999 cash. Scrap Car Removal: We are your removal company that it pays to have to remove your scrap car. You can now get up to $9,999 instant cash. Auto Wreckers: Free auto wrecking with one call to Car Wreckers Adelaide. Cash for Unregistered Cars Adelaide : Car Wreckers Adelaide will buy your unregistered car. Truck Dismantlers: Optimal value, no inconveniences. We are truck dismantlers that buy & remove your truck, and dismantle it for free. Instant cash quotes – Accept our offer and get an instant cash payment! Free truck wrecking Adelaide – We provide our customers with free wrecking to maximise the value of their trucks. Free paperwork – Read and sign, and the deal is legal!